Oww ya crabbing has been hot. 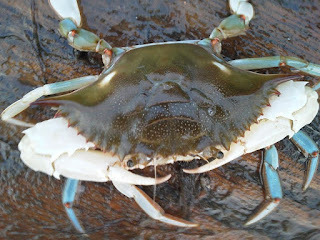 Check out this pic of an albino clawed crab a buddy got. Sunday April 1st. 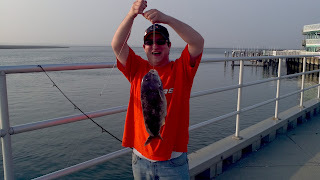 Is the opening day for Tautog with a 4 fish limit at 15 inches. With the warmer weather we are having the bite should be HOT both on the local wrecks and reefs. The popular spots you can get to from land should also be holding a couple of fish. The fish in the picture caught and realest by Jeffrey wile striper fishing with clam last week.